Building relationships with reliable and cost-effective separation services. 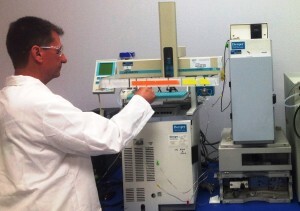 analysis and purification of small molecules. in the method development, separations business. Capacity to purify and isolate milligram to multigram scale. Westcoast Separations offer a range of analytical and purification services to both support and extend the in-house capabilities of our partners and customers. 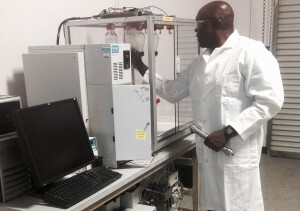 The Westcoast Separations laboratory is set up with multiple HPLC and SFC to allow for efficient method development and preparative scale-up. Our goal is to partner with research and development organizations and academic research labs to contribute to advancing the frontiers of science using efficient separation tools and deliver materials of the highest purity and recovery in a timely and economic manner. With our extensive range of library of columns, chiral stationary phases, automated column and solvent selection valves we will screen a minimum 50 chiral conditions within 4 hours using SFC. With an analytical SFC/MS system and analytical LC/MS, we are able to process and analyze many samples quickly and efficiently. At Westcoast Separations, we have the capacity to purify on a scale from milligram to multi-gram scale. Our services include the purification of chiral and achiral compounds (intermediates, research and non-GMP compounds, standards and etc. ), and impurity isolation to give control over the chemistry by identifying impurities early.